Agatha Christie’s most iconic character, the wily Belgian detective Hercule Poirot, is back in a brand new mystery that will have fans settling into their armchairs, with eager anticipation at the idea of the wonderful web of clues and reading pleasure that awaits them. Written by internationally bestselling contemporary crime writer Sophie Hannah (Hurting Distance remains an all-time favourite), this new series (which are known as ‘continuation novels’), has been written with the blessing and permission of Christie’s family. 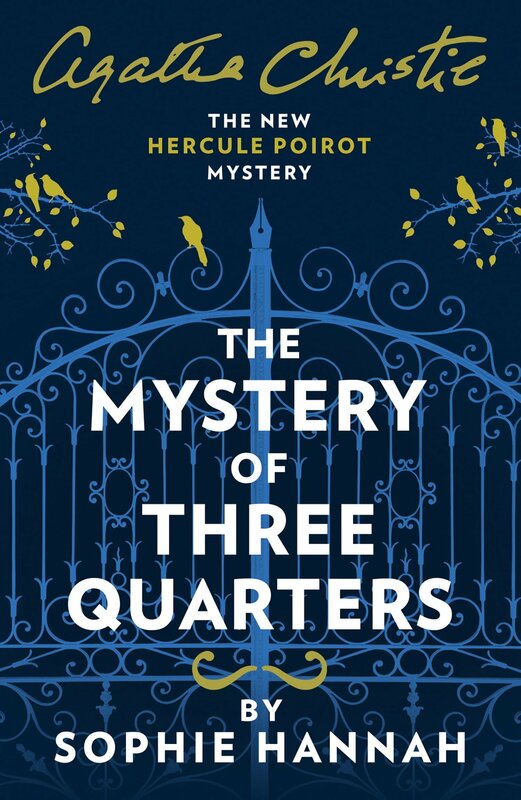 The Mystery of Three Quarters, the third and latest in the Hannah/Poirot series, is a stylish, diabolically clever puzzle set in the London of 1930. Joyously, there’s the requisite country manor and the usual fastidious Poirot with all his endearing eccentricities – and compassion. But while staying true to the greater brushstrokes of Christie’s moustachioed, iconic hero, Hannah still manages to make him her own, and in so doing, breathes new life into the famous detective. In writing about one of literature’s most well-known detectives, created by the most famous crime writer ever, Hannah knew she was up against it if she set out replicate Christie. Instead, she wisely introduced a new character, Scotland Yard Inspector Edward Catchpool, who ably assists our Belgian detective and casts a slightly different tone over the story with his voice. It’s through Catchpool, as the story’s narrator, that the mystery begins with high drama when a mellow Poirot (ever the gastronome), is accosted in the street upon returning home from an enjoyable lunch. She demands to know why Poirot has sent her a letter accusing her of the murder of Barnabas Pandy, a man she has neither heard of nor met. Ever. Thing is, Poirot has never heard of Pandy, either. Has not accused anyone of murder and hasn’t written any letter. The plot thickens when a shaken Poirot goes inside, only to find another visitor, a man, also claiming to have received a letter from Poirot that morning, accusing him of murdering the same Barnabas Pandy. How many more letters have been sent? Who wrote them? And why? Before not very long a puzzled – and intrigued – Poirot discovers two more complete strangers have received the same letter containing the same accusation. In all, four people are accused of committing a most heinous crime. Moreover, who is Barnabas Pandy? Is he dead, and, if so, was he murdered? And can Poirot find out the answers? The fun from hereon in is in following Poirot’s investigation and if you can, staying one step ahead as more and more comes out about the accused and their dysfunctional families. Naturellement, in his search for the truth, Poirot uncovers the odd scandal and several skeletons, with a few interesting observations of human nature scattered along the way. 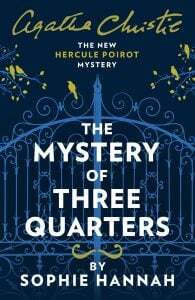 As far as that brief goes, The Mystery of Three Quarters, does that – and more. 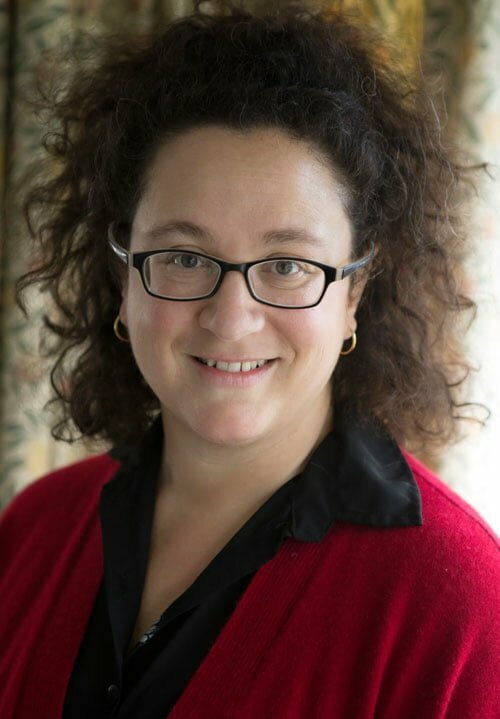 Sophie Hannah is an internationally bestselling writer of psychological crime fiction, published in 49 languages and 51 territories. In 2014, with the blessing of Agatha Christie’s family and estate, Sophie published a new Hercule Poirot novel, The Monogram Murders, which was a bestseller in more than 15 countries. In September 2016 her second Poirot novel, Closed Casket, was published and became an instant Sunday Times top ten bestseller. From 1997 to 1999 the British poet and author was Fellow Commoner in Creative Arts at Trinity College, Cambridge and between 1999 and 2001 a junior research fellow of Wolfson College, Oxford. She lives with her husband and two children in Cambridge.